For freeriders looking to ride backcountry lines in the Northern Hemisphere in May there are only two options; either head further north into the Arctic circle or climb higher. Mountains don’t get much higher than Chamonix and in particular the Aguille du Midi and its surrounding peaks. 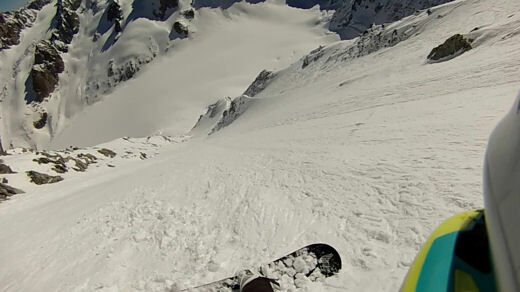 French Ambush team rider Nico Antony took the chance in fine weather to ride a steep line on the North East Face of Les Courtes, a peak that climbs to over 3800m, sandwiched between the Talèfre and Argentière glaciers. 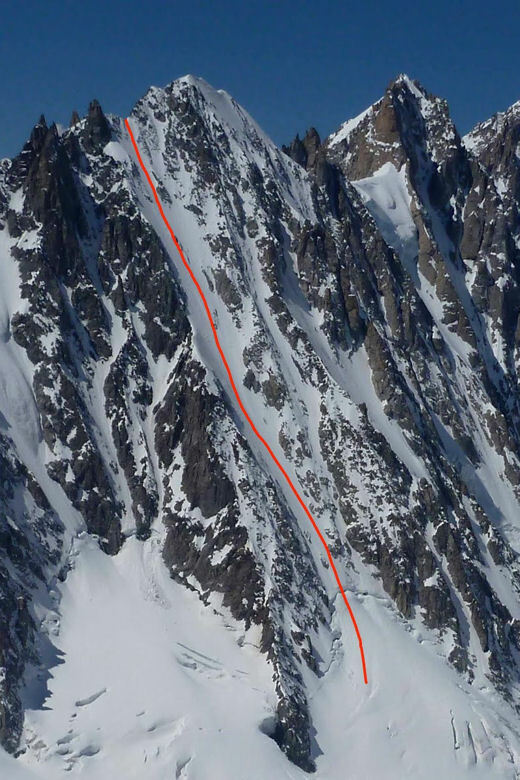 With a pitch of 50 degrees, 1000m vertical decent, tons of sharks and a glacial Bergschrund at the bottom it’s a pretty gnarly line. 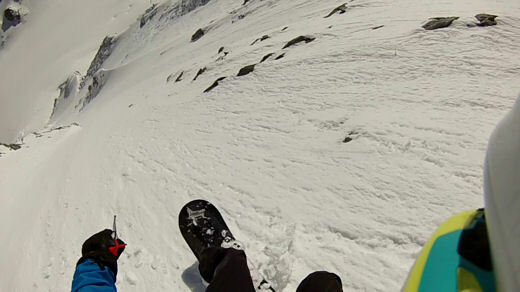 Nico enjoyed almost perfect conditions on his UNW8 163 on the way down, a board he said “is the best board for quick and precise turns on steep slopes”.